Being prepared for economic collapse means understanding what can happen in financial failure and understanding how that will affect you. Everything we have come to rely on in America revolves around a working economy. What happens when that economy is no longer working? The first rule for financial preparations is getting out of debt. The further you are in debt, the more you are beholden to the current economy. Paying off a home mortgage is a good idea. However, paying off all the other debts is critical. There is no reason to have a car loan and large outstanding amounts on credit cards. 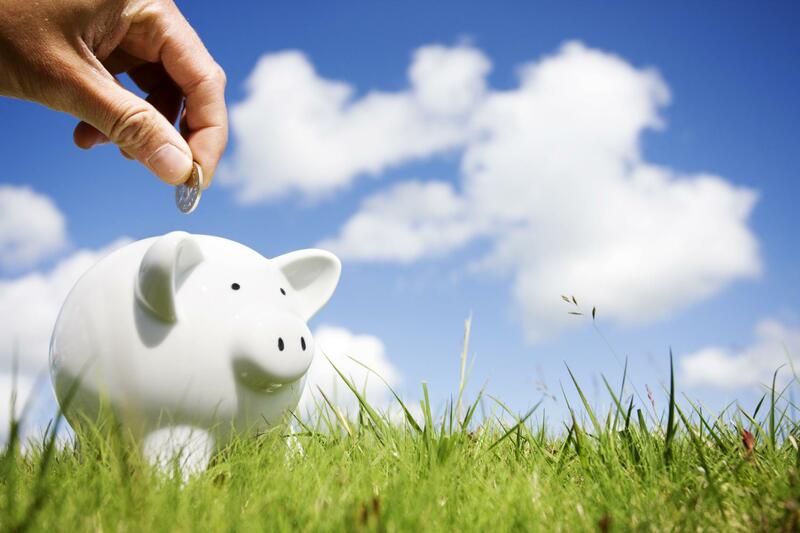 You need to establish a savings plan for your own needs to prevent personal collapse. Being prepared for a financial emergency will keep you out of debt in the event of a medical problem or job loss. You should have an emergency cash supply on hand. Even when a country’s dollar is devalued, it does have worth and you will want to have some cash on hand. If you are worried about the demise of the dollar, you should put a portion of your savings into gold or silver, or other hard assets including land. An easy way to get started is to put 25% of your savings into silver. Prepare yourself for economic collapse the same way you would prepare yourself for a major storm or earthquake, and take it a few steps further. You need to have food and water on hand and more than just a few days worth. You need to have personal hygiene supplies and the ability to purify your own water. You can choose to purchase purification tablets or have what you need to boil and filter your water. You need to have medical supplies on hand for first aid. Batteries, matches and candles are a must to store as well. Consider investing in a crank powered radio that does not require batteries. Some of these models also provide a source of light. Yes, you should consider having a gun and a good supply of ammunition. Guns are not just for self-defense, if you learn to hunt, you will have your own food supply. In addition to learning new skills, you need to learn about alternatives to products and services you now use. Much of the common medicines used have a basis in herbs or plants. Using medicinal herbs or flowers is not a substitute for regular medical care. However, you may be able to find natural products that meet your needs just as well as items that you purchase. By learning about alternatives, you have more options if you run out of items and supplies are not available for purchase. You do not even need a large garden to grow many of these valuable plants. For example, Calendula, or marigold, petals can be used dry or turned into infused oil and used in homemade soaps. Calendula has many positive benefits for your skin. Interestingly enough, you can find additional information on Calendula through the U.S. National Library of Medicine. Identify both your strong points and your weak areas. Take the time to learn new skills that increase your self-reliance. Canning is one of the easiest skills to learn. For tomatoes and jellies, no pressure cooker is required. Even a small garden can provide you with some of your own homegrown food. Make a rain barrel. Instruction can be found easily and no major skills are required. The rainwater you save can irrigate your garden and even provide wash water if needed. While municipal water may be available, you are saving yourself from the unnecessary expense. Learn how to grow your own food. If you have the opportunity to raise chickens, you have a source of both eggs and poultry meat. You can take your skills with farm animals a step further by growing your own feed supply or creating a free-range environment for feeding. Learn how to hunt and even make your own ammunition. Learn how to fish. A tree branch, fishing line and a homemade hook can become a source of food. Now that you have begun to build your self-reliance and are learning new skills, you can learn how to trade or barter what you have for what you need. When you trade or barter, there are really no limits to what you can give and receive. The items or services only need to meet the needs of the individuals involved in the trade. Trading can be as easy as exchanging some of your free-range eggs for a neighbor’s fresh milk. You can also trade some of your homegrown green beans in exchange for a friend pressure canning a batch for you. Take this up a notch with services. You may be able to find someone that can tune-up your car in exchange for some sewing work or home repair. It is as simple as thinking about what you have to offer and what you need in return. Finally, once you have gotten the basics of barter down, you can move on to group bartering. In simplified form, individual #1 may have something you need. Unfortunately, you do not have anything they require. However, a third party does have something that the first individual needs. You can supply an item or service to the third party, who then gives you what you need from the first party. If or when an economic collapse does occur, it is not the time to go it alone. Being a prepper means being prepared, you need to find friends, family, and neighbors that are also willing to work toward preparedness. A strong group will always be stronger than a single individual. When everyone works together, the process of surviving is not as difficult. 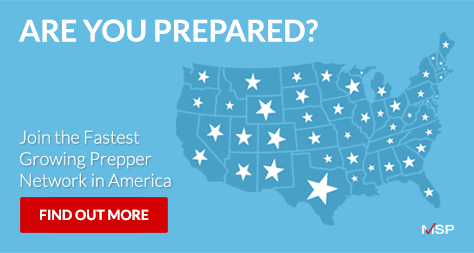 Check the MSP local preppers map to share ideas and find ways to work with others in your area. 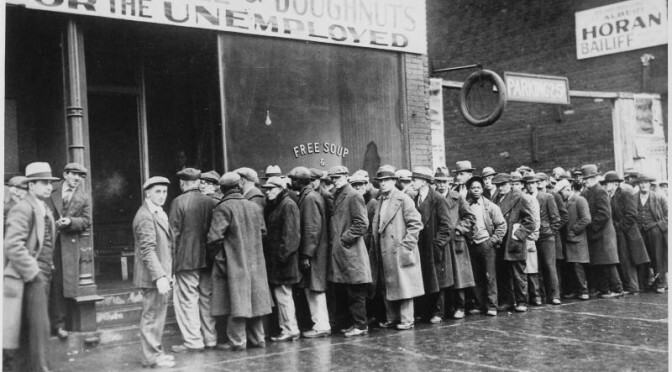 The events leading up to an economic collapse might not seem catastrophic at first glance. Small and large businesses will face higher rates for borrowing money to operate, which in turn raises the cost of staying in business. The cost is passed to the consumer or the business fails. As businesses fail, the stock market follows. The domino effect begins. While in the U.S. economy may recover, it is the period of chaos that must be survived. By planning ahead, you will be less affected by this type of disaster.